Adonis Johnson (Michael B. Jordan) never knew his famous father, world heavyweight champion Apollo Creed, who died before he was born. Still, there’s no denying that boxing is in his blood, so Adonis heads to Philadelphia, the site of Apollo Creed’s legendary match with a tough upstart named Rocky Balboa. 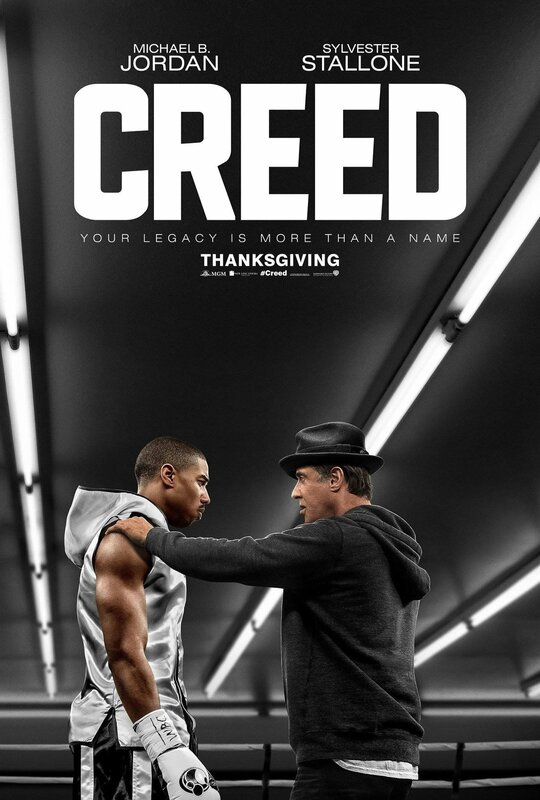 Once in the City of Brotherly Love, Adonis tracks Rocky (Sylvester Stallone) down and asks him to be his trainer. Despite his insistence that he is out of the fight game for good, Rocky sees in Adonis the strength and determination he had known in Apollo—the fierce rival who became his closest friend. Agreeing to take him on, Rocky trains the young fighter, even as the former champ is battling an opponent more deadly than any he faced in the ring. With Rocky in his corner, it isn’t long before Adonis gets his own shot at the title...but can he develop not only the drive but also the heart of a true fighter, in time to get into the ring? Ryan Coogler’s Creed is one of the rare sports films that works for an actual sports fan. It’s structure is very similar to the past Rocky movies and there isn’t much surprise about what goes down during it’s somewhat extended runtime. Still it works on various levels because of some excellent direction and strong performances from Michael B. Jordan and Sylvester Stallone. Coogler pulls off an effective redux of the original Rocky story that’s engaging enough to keep everyone engaged throughout. It’s clear that Coogler is a big fan of the original film and it come through the screen. Michael B. Jordan is focused and believable as the upcoming boxing trying to make a name for himself. The real surprise though is Stallone who delivers one of his best performances in years. It’s been so long since Stallone has fallen into a parody of himself that it’s easy to forget that he was a capable actor at one point. Stallone’s work is heartfelt and reflective. He and Jordan share some solid chemistry together making it easy to care about their journey. Creed isn’t a perfect film though. The structure is very well worn and characters seem to appear and disappear regularly with Phylicia Rashad left acting alone reacting to a TV. Its far from a fatal flaw but it does feel like a missed opportunity to expand on certain relationships and characters. As a boxing fan, nothing takes me out of a film quicker than staged fights that instantly feel inauthentic. It’s a difficult thing to pull off because of the nature of the sport but Creed does an excellent job of pulling off the illusion for the most part, there’s rarely that much chatting between rounds from the fighters. As a whole though, Creed finds the essence of the original film which isn’t a small feat considering this is 7th entry in the long running franchise.